The sort button obediently put "?sort=linked" in the location bar, but these are not the droids questions I'm looking for. 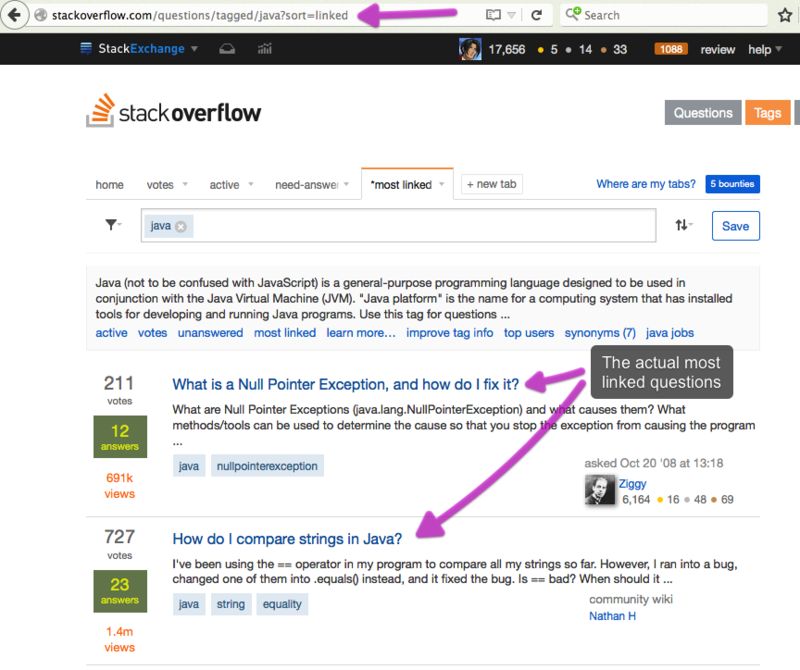 When using the second option (clicking on the "most linked" link), it temporarily goes through to https://stackoverflow.com/tags/java/?sort=frequent (frequent? why? ), and then is magically redirected - to the same URL as the first option. But it produces the correct results. 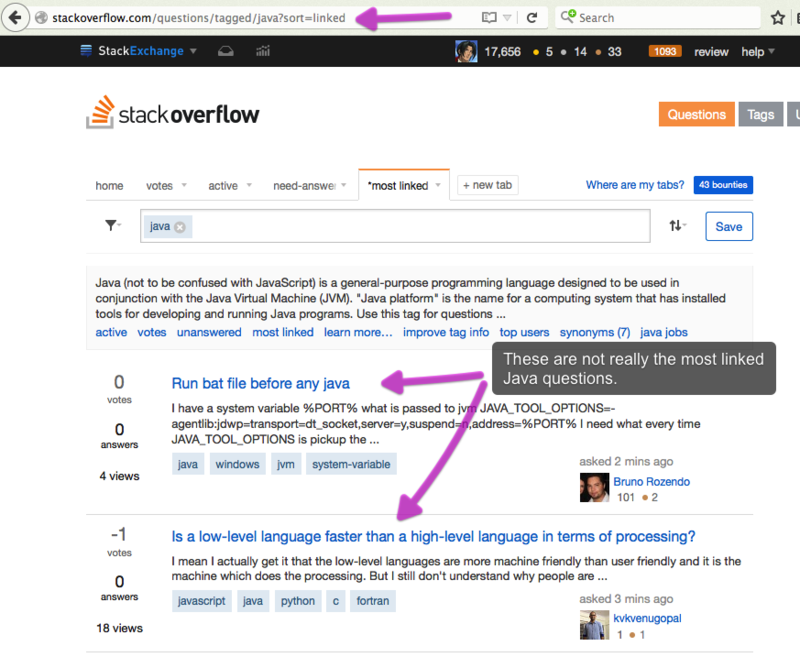 Using the actual URL (https://stackoverflow.com/questions/tagged/java?sort=linked) directly in any way (refreshing the page, pasting it into the location bar, adding the query manually at the end) - does nothing at all. In fact, it redirects immediately to the base URL without the query, and shows just the default tag page. Browser information: Firefox 41.0.2, Mac OS X Yosemite.